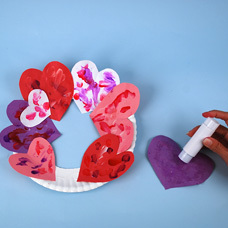 Here's a Valentine's Craft for preschool children using a paper plate and finger paints. 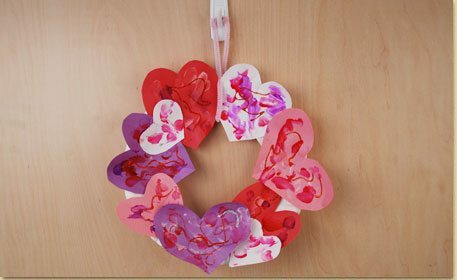 A Valentine’s heart wreath is a lovely decoration and a great project for young children who can practice drawing simple shapes and then cutting them out. 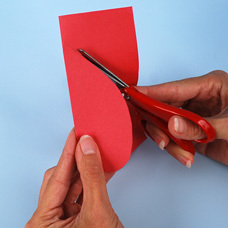 Have your child fold a 6 x 4 ½ inch piece of colored construction paper in half, long ways as shown. 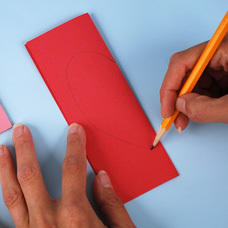 Next have your child draw half of a heart along the folded edge. Tip – you can help draw the half of heart by making a slightly smaller heart which your child can trace. 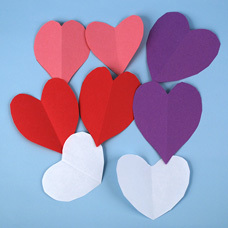 Have the child practice using scissors to cut along the line drawn for the half a heart shape. Repeat Steps 3 and 4 with different colored pieces of construction paper. Make 8 large hearts total. 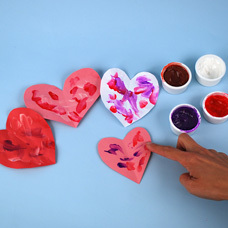 Have the child decorate the hearts with Finger Paints. While the paint is drying, the adult should cut out the center of a paper plate to create a wreath shape. 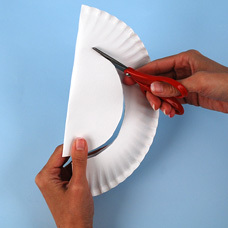 Tip: It might be easier to lightly fold the plate in half in order to cut the center out. 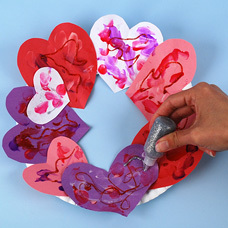 Using a glue stick, have the child glue the hearts around the plate to create the wreath. It is ok if the hearts overlap. Kids love glitter! If desired, use Glitter Glue to add a sparkle to the heart designs. 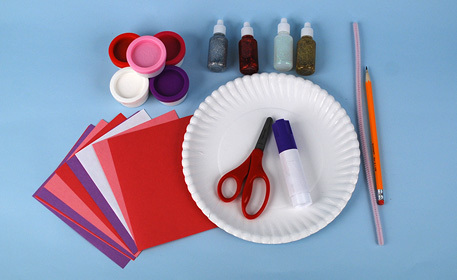 Tip: glitter glue is a clean alternative to jarred glitter for younger children. Wrap a Fuzzy Stick around the top of the plate to create a hanger in order to display their handmade Valentine’s Day Heart Wreath!